Not only will salads be making their mark on every restaurant menu soon, but that time of the year is fast approaching. You know the time; family functions, school events, church picnics, get togethers, backyard bbqs..in other words the “bring a salad” time of year. Salads seem to burst onto the scene come April, and they stick around for a long time! So I think the best way to tackle this season of salads is to have a few HOMEMADE dressings on hand, and a few ideas of what to do with them. I’m a big advocate of HOMEMADE dressings. My theory is, the more you can make in your own kitchen, the better it is going to be for you. Homemade salad dressings are a great way to take some of those preservatives out of your refrigerator! The best part is, dressings are really quite simple to make and they will last you a long time. Bleu cheese dressing is such a great one to have on hand! You can use it on any tossed salad, to dip things into, or even on a sandwich! Want to use the dressing for something specific? 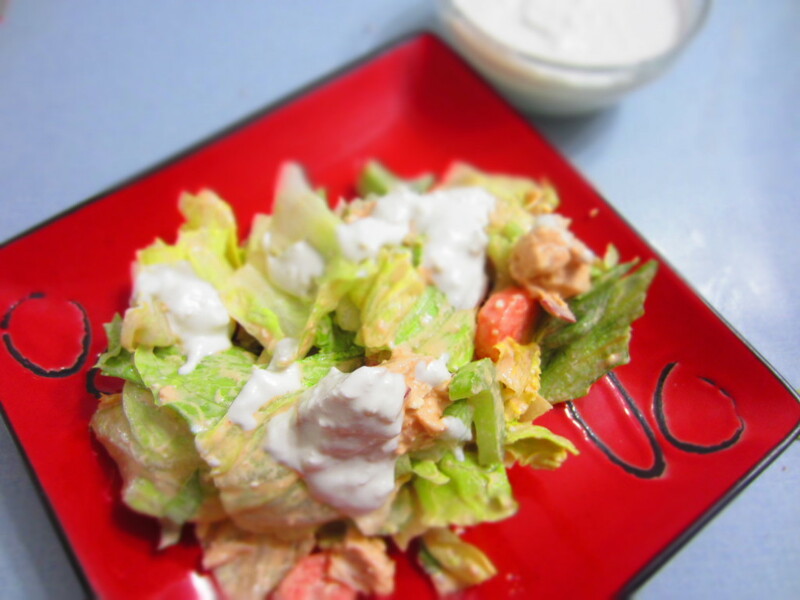 Try making a Buffalo Chicken Salad using the dressing. 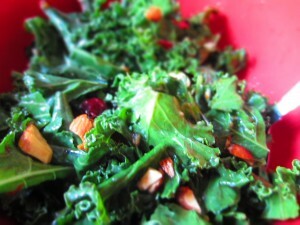 Try Orange Balsamic Dressing for any salad, or check out my Kale Salad that uses Kale, Orange Balsamic Dressing, almonds, and cranberries! This is a great make ahead side dish! This is such a great little dressing to make. It’s really delicious, and like the other dressings I’ve mentioned, it’s really versatile. You can have it on hand to use it for traditional tossed green salads, or use it in a pasta salad. It’s the best in pasta salads!!! Particularly in my mom’s Bow Tie Chicken Pasta Salad! Any of these three dressings are great for at home use or to use for a side dish that you have to bring somewhere. They are basic and delicious, so really, what more could you ask for??? ?